#9 Are We in the Laodicean Church Age? For many years, I believed and taught that the seven churches mentioned in the second and third chapters of Revelation were sort of time clock of the church age in progress. I believed that God purposely selected them for a definite and distinct purpose: to give a complete picture of church history from the beginning to end. The last church the Lord Jesus Christ addressed was the church at Laodicea. 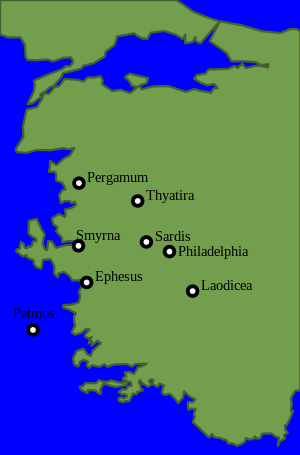 The Laodicean church was the “lukewarm” church. So the teaching goes that we are living in the age of the back-slid church! Is this really what the scriptures reveal? What prompted John to list the seven cities in the order he did? The answer may surprise you! The Word of God is amazing. Throughout the scriptures, there are patterns and symmetry that prove that it is inspired. We can see God’s designs and patterns not only through types and parallels but also in numbers and the meaning of names of people and places. I happen to like the number forty! Not so much the number itself but what it represents in scripture. This article explores the meaning of the number forty in scripture. Folio 55r of the Bamberg Apocalypse. 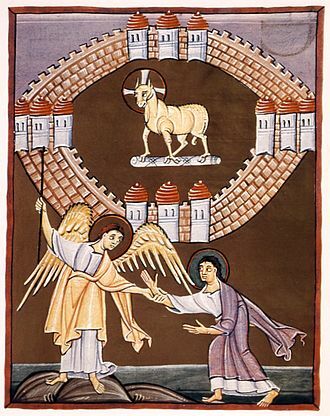 Depicts the Angel showing John the New Jerusalem, with the Lamb of God at its center. Now, what’s wrong with this interpretation of Revelation 21:21? Well, the main problem is that it ignores the context of the scripture. This popular interpretation ignores what Revelation 21:21 is describing. This causes a problem anytime a scripture is taken out of context without considering the surrounding passages. What do the scriptures have to say about the subjects of authority and submission? Well, Jesus had a lot to say about spiritual leadership. He said that leaders in the church should be servants. Do church “offices” automatically bestow upon those holding a position a special “anointing”? Are scriptures regarding church authority and submission sometimes taken out of context? This article explores this sensitive subject. 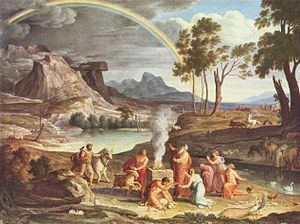 #5 God’s Land Promise to ABRAHAM – Fulfilled? For many years, I believed that the scriptures taught that God had never completely fulfilled the land promise that He made to Abraham. This is what I was taught to believe and what, I, in turn, taught others. Now we all know that God will not go back on His promises. So assuming this teaching is true, then at some point in the future, God will have to keep His promise that He made to Abraham. This “promised land” will have to be given to Abraham’s descendants. 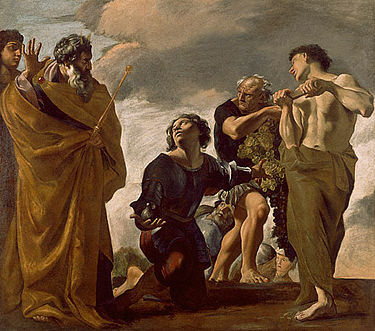 Did God fulfill His promise to Abraham? Or should we look to the future for this fulfillment? What do the scriptures reveal? Get your Bibles out! A close friend of mine asked me to consider what Revelation 10:6 means in regards to the statement that “there should be time no longer”. Her thinking was that this verse is prophesying that in our future, we will get to the end of time. 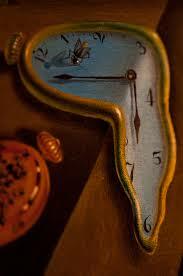 Time would cease to exist. The implication was that this earthly realm and our existence would end. Is this really what Revelation 10:6 teaches? 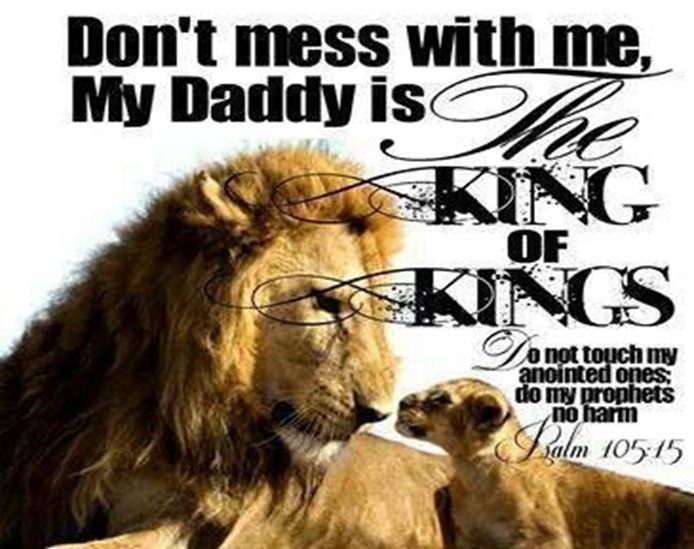 By reading this scripture in the King James Version Bible one would certainly think so. But let’s dig a little further into other Bible translations and even a few commentaries! #3 What’s the Milk and Meat of the Word? Milk and Meat of the Word? I don’t know about you, but I sure do like a thick, juicy steak every once in a while. But with the current price of beef being sky high, it’s a rare treat. Drinking milk is another thing altogether. I consider milk a breakfast drink, something I rarely drink for lunch or dinner. I like milk with my cereal. 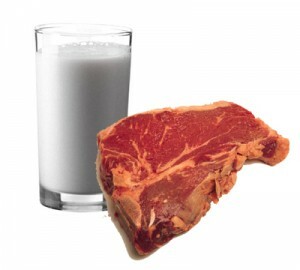 Paul, the Apostle, mentioned “meat” and “milk” in two separate books of the Bible, 1st Corinthians, and Hebrews. Paul contrasts “milk” and “meat” to make an important spiritual analogy. Honestly, the popularity of this article surprises me – but I guess folks are just hungry for the Word of God! 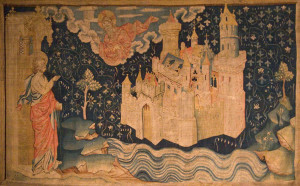 from God in a 14th-century tapestry. John 14:1-2 is an often quoted but many times misunderstood Bible verse. Jesus said that He would go to prepare a “mansion” for those who believe in Him. Many believe that these “mansions” are literal buildings in heaven where they will dwell. Most people consider a “mansion” as a giant home, having everything we ever want or need. Ideally, it would be a place of ultimate contentment and fulfillment. If the “mansions” of which Jesus spoke are physical structures, then it might seem, to some, that all the believers who have died are dwelling in them right now in heaven. This subject must be important because this article is in the #2 spot. Give it a read! This article was by far the most popular article on the Scripture Revealed website – and by a long shot! What does scripture reveal about a 1000 Year Reign of Christ? Does the phrase “1000 Year Reign of Christ” even appear in scripture? What about the word “millennium”? Should the number, when used in scripture, be taken literally or symbolically? Find out why this article received 3 times the views as compared to other articles! Thanks to all of our readers for making 2018 the best year yet! We have had visitors to this site from around the world. Readership and subscription requests have steadily increased every year. We are sure that everyone is looking forward to a happy and prosperous 2019. May the Lord richly bless each of you in the coming year! Top Scripture Revealed Articles - 2016!